Labor groups are turning up the volume on Trump’s vulnerable pick for secretary of labor. Donald Trump’s cabinet picks are greedheads and grifters, blank-stare ideologues and full-on neocons, Koch brothers mandarins and campaign donors who have bought their way into the White House. But the rigid partisanship of Republican senators and the wobbly responses of some Senate Democrats have moved nominee after nominee into positions of immense authority. They are stepping into those positions with insufficient scrutiny and in the face of scandals that should disqualify them. Yet a collapse of the system of checks and balances holds out the prospect that most will be approved—as became all too evident last week, when Republican-controlled Senate committees endorsed inadequately scrutinized and scandal-plagued nominees such as attorney-general pick Jeff Sessions, Treasury-secretary pick Steve Mnuchin, and Department of Health and Human Services secretary pick Tom Price. Even Betsy DeVos, the administration’s shockingly inept nominee for secretary of education, won committee approval and—despite the principled objections of two Republican senators, Maine’s Susan Collins and Alaska’s Lisa Murkowski—was being propped up by rubber-stamp Republicans in the Senate and Vice President Mike Pence. With Republican committee chairs ripping up the rules (and holding votes without Democratic senators present), with partisan lines being drawn ever more deeply in the sand, can any of Trump’s nominee be stopped? Yes. The confirmation process should continue to be a focus of Americans who object to Trump’s assembling of a wrecking-crew cabinet—even as the resistance focuses energy on the fight over the nomination of Judge Neil Gorsuch to fill the US Supreme Court seat that Republicans denied Judge Merrick Garland. That focus should target the worst of the nominees, including the atrocious Andy Puzder—Trump’s pick for secretary of labor. The nomination of Andy Puzder is another broken promise to the American people. President Trump likes to talk and tweet about putting hard-working Americans first, but at the end of the day, he wants to make sure only big business and special interests have seats at the table. Pocan’s comments highlight why the fight against Puzder is vital. Puzder’s nomination is on shaky ground. On Monday night, the wealthy businessman acknowledged that he had for many years employed an undocumented immigrant as a housekeeper — admitting to engaging in the sort of wrongdoing that derailed the nomination of George W. Bush’s pick for Labor Secretary, along with the nomination of Bill Clinton’s choice to serve as Attorney General. 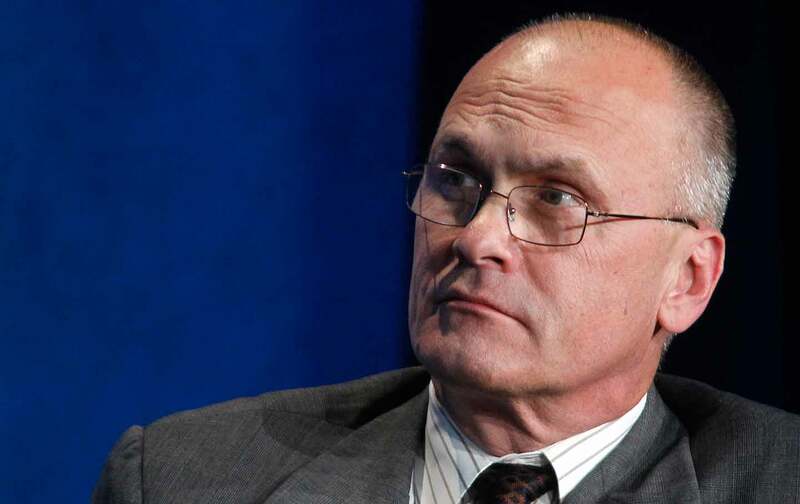 Last week, the Senate Health, Education, Labor, and Pensions Committee hearing on Puzder’s nomination was delayed for a fourth time, with a committee aide telling The Washington Post that a new hearing will not be set until the fast-food company CEO provides the Senate with necessary paperwork—including Puzder’s financial disclosures and his plan for avoiding conflicts of interest. He’s railed against increasing the minimum wage and expanding overtime. He’s shortchanged workers at his Carl’s Jr. and Hardee’s restaurants and even refused to pay managers overtime they earned. He’s talked about replacing working people with machines. Contrary to what Puzder and other corporate leaders at the National Restaurant Association say about good working conditions in the restaurant sector, the majority of restaurant workers are women and people of color, making as little as $2.13 per hour and rely on tips to survive. These workers face disproportionate rates of poverty, discrimination, and sexual harassment and deserve a Labor Secretary who believes that, as Dr. Martin Luther King Jr. once said, “All labor has dignity.” Instead, with the National Restaurant Association’s champion heading the Department of Labor, workers will have to rely on vocal opponents of labor regulations to protect their basic workplace rights. The more Americans learn about Andy Puzder, the more they are opposed to his nomination. And that opposition could well block this nominee. Rallies and marches are being organized, calls to senators are being made. The volume is rising as Americans recognize that Massachusetts Senator Elizabeth Warren is right about Puzder’s vulnerability.